AIIMS Syllabus 2019: All India Institute of Medical Sciences (AIIMS), Delhi has released the online registration date for postgraduate courses such as MD/ MS/ MDS/ DM/ M.Ch. AIIMS PG 2019 is a gateway through which you can take admission in AIIMS. So get ready to crack the exam with highest marks. First, you need to collect the exam stuff either from experts, online site, official portal or any other sources. 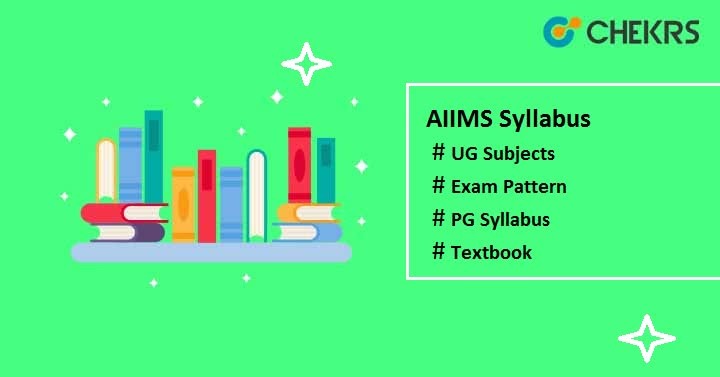 Here we have provided the AIIMS 2019 Exam Syllabus along with the AIIMS Entrance Exam Pattern to help you so that you can perform in a better way. Candidates need to focus on every topic to score well in marks in the exam, so prepare yourself according to the topics listed in the table below. Candidates need to go through the syllabus of MBBS or BDS, if you will apply for AIIMS PG because the AIIMS MD/MS Syllabus is common to MBBS syllabus and MDS Syllabus is similar to BDS syllabus. Now if you have completed the syllabus, then you need to download the Previous Year Paper and practice it. It is very important to know the Exam Pattern when we are going to appear for any exam. The exam pattern will be decided by AIIMS, New Delhi. It will help you to know the pattern of paper also. Here we have provided the AIIMS Exam Pattern for both UG & PG courses, candidates can check according to their respective course.